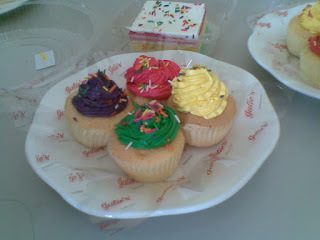 Bloggers were invited by Julie’s Bakeshop Marketing Manager, Meggie Jose, to their Pasig main offices recently to be the first to sample their baked summer offerings. Being a person who will eat the batter of everything, I was excited to go. 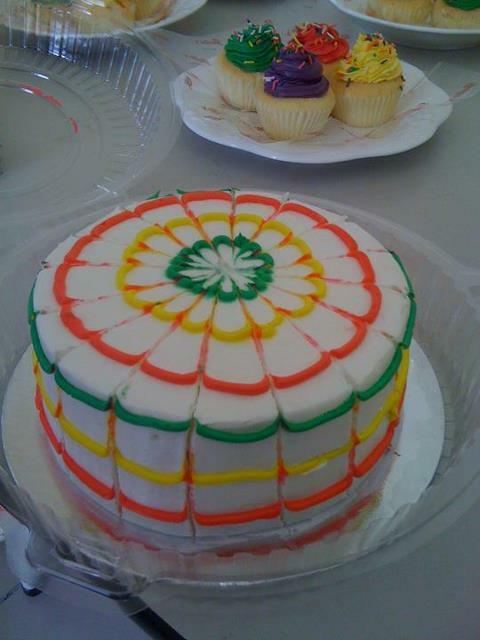 I love cakes. And like most people, we celebrate milestones with cakes at home. I always look forward to digging into a slice of cake, licking my plate clean and then asking for seconds. 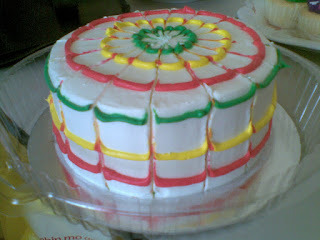 Julie’s Rainbow Round Cake at 160 pesos is an inexpensive, six-inch fluffy chiffon goodness you can take home to celebrate birthdays! Rainbow Square Cake Slices, mini-serving portions of the Rainbow Round Cake are also available at 45 pesos. 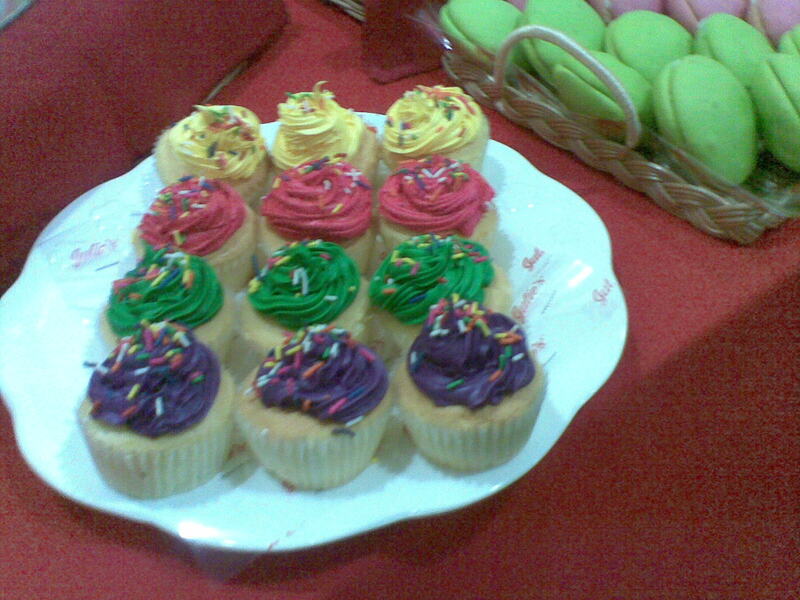 Julie's Rainbow Cupcakes were so lovely colored and delicious as well! 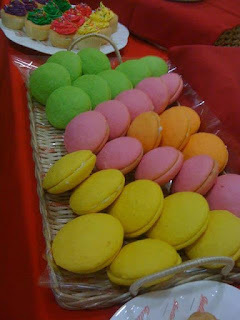 The tropical flavors are pineapple, strawberry, buko pandan and ube. And each one is topped with confetti sugar candies! It is affordable at 12 pesos a piece or 75 pesos for half a dozen. Julie's Yummy Yoyos at 5 pesos per piece is a happy sandwich treat bursting in Orange, Buko Pandan, Pineapple and Strawberry flavors! 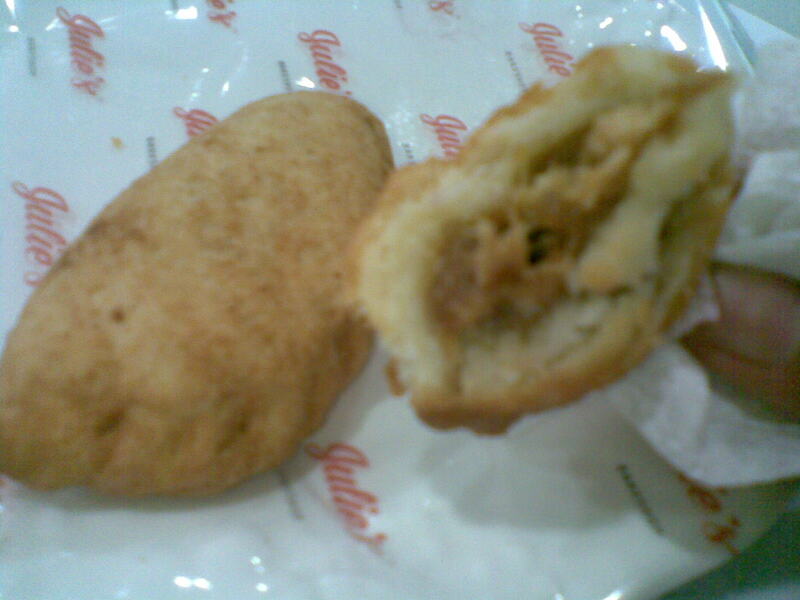 I love their Chiken Empanada best of all! It is a great steal at 8 pesos per piece. 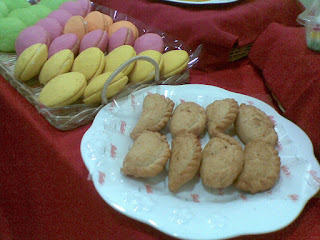 Do drop by Julie’s Bakeshop to try these summer baked treats for you and your family. 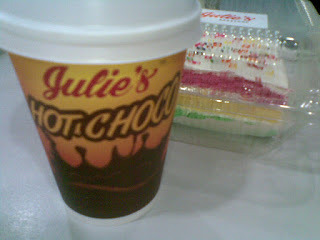 Join the number of people who frequent Julie’s Bakeshop for their fill of baked goodness daily. To know more about #JuliesBakeshopSummerSurprise promotions, follow them on Twitter: www.Twitter.com/JuliesBakeshop1 You may also Visit Julie's Facebook Page : www.Facebook.com/JuliesBakeshop for updates.